Topics in this study include joy, hardship, faith, wisdom, the tongue, humility and prayer. 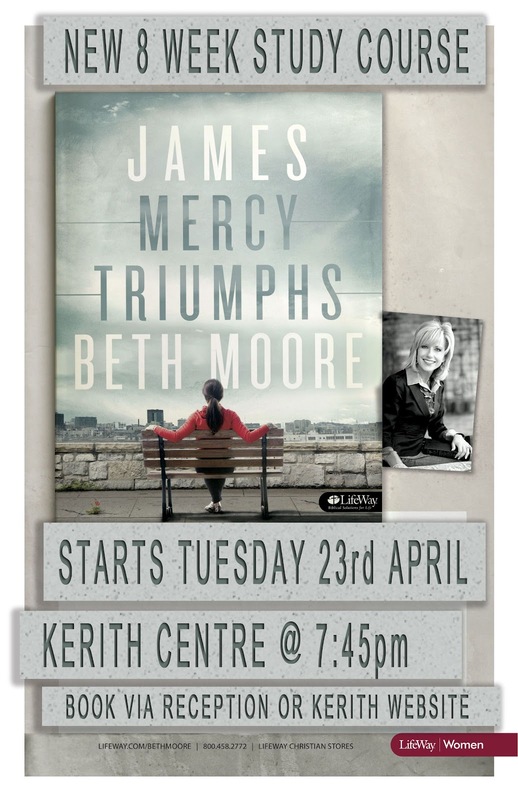 Heather Pocock is leading this course, starting on Tuesday 23rd April at 7.45pm in the Kerith Centre. The cost of £20 for the course includes refreshments, a workbook and the course DVD material. You can register at Kerith Reception or online (then pay via Kerith Reception beforehand). 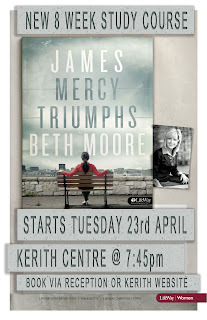 Come along on a journey to get to know both the man and the Book of James. Here's a short video to whet your appetite. "James, Jesus’own brother, started out as a skeptic. learn how you can put your own faith into action."